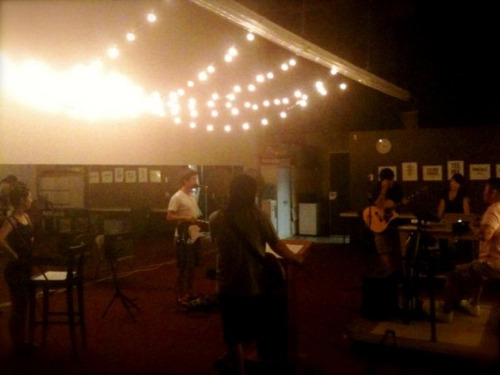 In late 2009 Ekko formed its first worship band. Six worshippers wanted to serve God and the tribe via their gifts (music)… we were graduating from Christian CDs, or solo guitar led worship sets to a real band. Since then, the band has gone through much growth both in numbers and in the depth of their love for God and each other. In this way the band seems to mirror the tribe it serves. Now, only 2 years later, the band is packed with more than 20 people, grouped into 3 teams that rotate (in order to give each band some rest and enjoy the Sabbath for themselves) on Sundays. I’m writing about this because I remember in the first year and half of our church (late 2008 - mid 2009) discussing and dreaming about a band for Ekko. James (one of the worship leaders) and I would talk about how wonderful it would be to have a bass player, a drummer, singers, etc. As I look at the team now, I can’t help but thank God for this team. All healthy and living things grow. Although we are not “perfect”, the band is “healthy” in the sense that it is “growing”. Growing not only in numbers but in love with each other. Growing together by learning to work together, serve together. Growing in love with the community it serves. 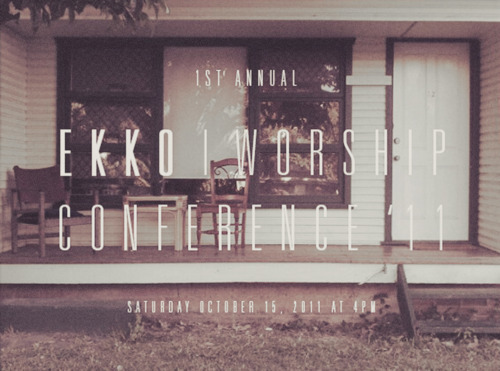 Growing because they seek to get deeper with God and each other, hence our first ever Ekko’s Worship Conference for band members. I’m so proud of them. They not only want to sound excellent for God and the tribe but they seek to root their sounds in love for God and each other. They are also working to create in these teams strong ownership, over their own gifts + their devotion and purity in and for Christ. They are truly leading the charge with the trumpet of intentional holiness and love. I believe our band/s will be the front line soldiers that lead the Resistance against all things consumerist and lukewarm… With pride and joy, I eagerly anticipate this intimate gathering.